A day earlier, Ukraine decided to release 15 separatists without any strings attached. 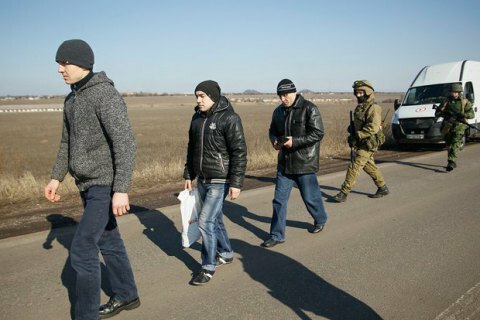 The self-proclaimed Donetsk people's republic (DPR) has agreed to exchange only eight Ukrainian captives for 228 detained militants, DPR "ombudsperson" Darya Morozova has said, according to separatist websites. "As for the proposal to exchange 228 people, we are ready to accept these people because these are the people who were procedurally cleared by Ukrainian justice. For its part, the DPR is ready to hand eight procedurally cleared Ukrainian captives over to Ukraine," she said. On 15 December, Ukraine decided to release 15 separatists on the list of persons for exchange with Donetsk and Luhansk separatists. Kyiv said it was a "goodwill gesture".